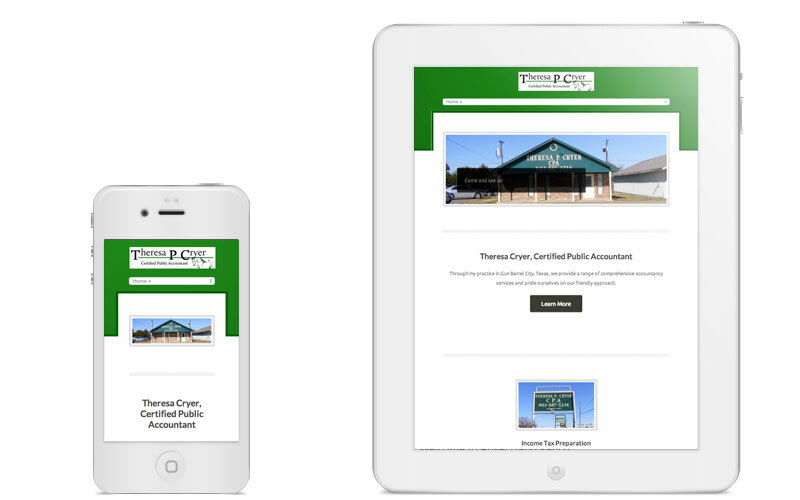 Theresa P Cryer CPA hired Clever Mutt™ to update their website to a fresh, mobile friendly responsive design powered by the Clever Mutt™ Portal web CMS. 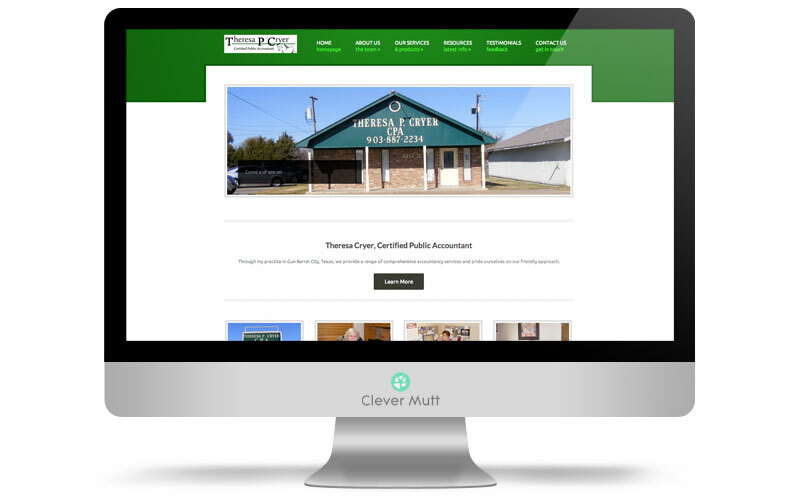 In addition we provided integration with Clever Mutt™ Mail email newsletter marketing. 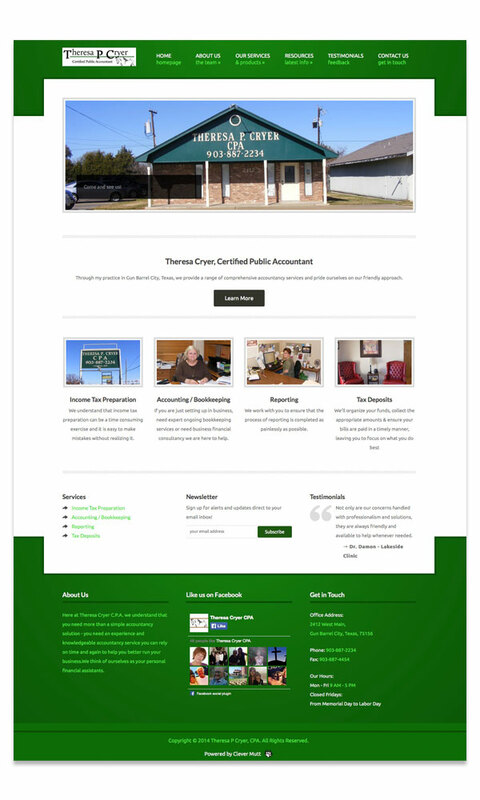 Through my practice in Gun Barrel City, Texas, we provide a range of comprehensive accountancy services and pride ourselves on our friendly approach.